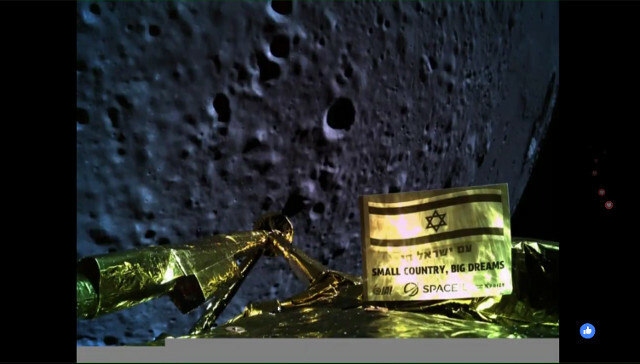 SpaceIL’s Beresheet lander was launched on February 22, 2019 as a secondary payload on a SpaceX Falcon 9 rocket. The length of the journey is due to the fact that the launch sent it into an orbit where over the following weeks it performed a series of maneuvers to stretch its elliptical trajectory until it was brought into the Moon’s gravitational influence. The mission risked failing shortly after the start because at the mission control center they noticed a problem with the star tracker, the systems that identify the stars to orient the Beresheet lander. These are the cases in which the problems come out only in space, in this case when the instruments proved to be too sensitive to sunlight. Another problem emerged at the end of February, when a reset of the on-board computer caused a delay to one of the maneuvers needed to stretch the lander’s orbit. Despite the problems encountered, the lander Beresheet was able to carry out the planned maneuvers and on April 4 it used its main engine to carry out the key maneuver to bring it into a lunar orbit, a key moment given that in case of failure the lander would have continued its trajectory ending up in deep space. In short, it would have been a failure for the entire mission. The successful insertion into the lunar orbit brought Israel into a small club together with the USA, Russia, Japan, ESA, China and India. This is the first private organization to accomplish that deep, but the mission was not yet over as the ultimate goal was to land Beresheet on the Moon’s surface, to be precise in the region called Mare Serenitatis. The Beresheet lander had a limited autonomy, of about two days, due to the fact that it didn’t have a thermal control system and its direct exposure to the Sun would have cause it to overheat at some point. It may seem little for a mission costing over $100 million but a lander capable of resisting for a longer time on the Moon would cost much more. SpaceIL’s purpose was as a demonstrator for the technologies used and in Israel it became a champion of STEM promotion. A laser reflector system provided by NASA’s Goddard Space Flight Center that didn’t require power was on board to remain on the Moon and allow, together with other similar systems left since the Apollo missions, to measure with extreme precision the distance between Earth and Moon. It got likely destroyed together with Beresheet. It’s a shame but space is really hard and no space mission has a certain outcome. There was a great effort on the part of SpaceIL and its partners which unfortunately didn’t give the result they wished. Israeli Prime Minister Benjamin Netanyahu, who was present for the event, said immediately that if at first you don’t succeed you try again.